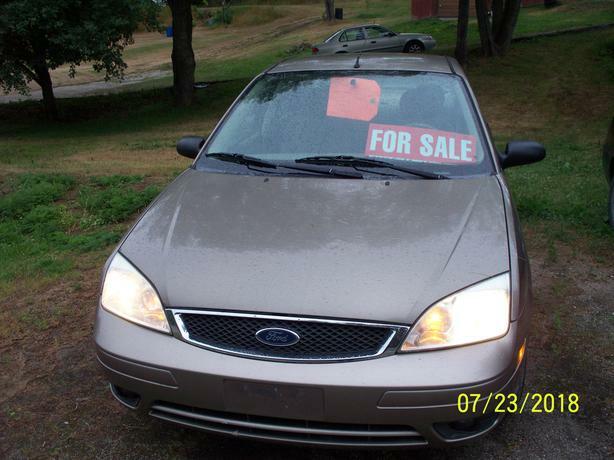 2005 Ford Focus ZX4 SES 4 door sedan ,Safetied E tested,, Tilt,Cruise,Am/FM/CD, Steering wheel Radio controls, Heated seats, Power heated rear view mirrors, Power locks with (2) keyles entry fobes ,power trunk, release, Alloy Rims, New Brakes ,recent A/C service(blows very cold).engine block heater, overhead console. adjustable seat height.Smoke free vehicle. Clean and well maintained vehicle. $3200 NOT interested in trades. Easy to locate,23 km west of Perth 1 km off Hwy # 7. Call after 6:00 PM. or leave message. If the ad is active, the car is available !